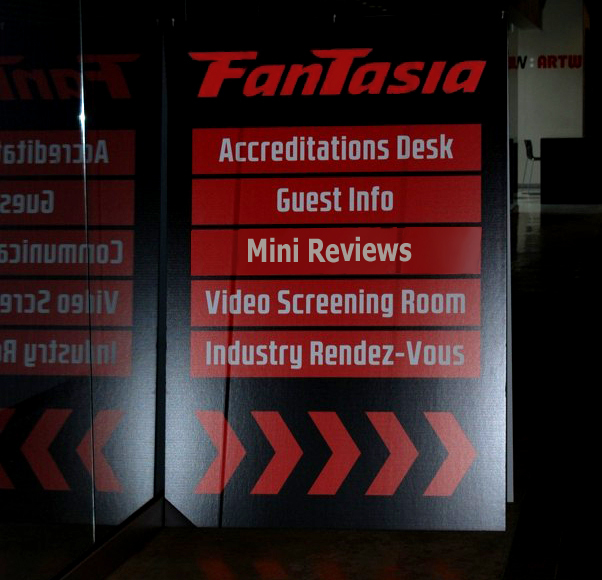 Marching on with Emilie Noetzel's barrage of mini reviews from the amazing line up at Fantasia 2013! Based on the works of folklorist Jonathan Mallory Sinus, whose entire work is 6 pages long, this movie works to fill in the voids and does so very well. It is an oddity in black and white with songs and great acting. The least you know about this one going the better I believe. It is weird, it is enjoyable and it is a must see if you can find it. A crazy fun kids movie that is probably better for grown-up kids than the little ones. After School Midgnighters is about these 3 little girls who go wandering in the forbidden part of their school and see a science lab mannequin and model come to life. These two decide to use the little girls to win a wish and avoid their upcoming demises with the destruction of their room. The steps to get there are filled with randomness and fun, odd characters and crazy schemes. The whole movie is ultra-colorful and child friendly, yet the story may be a bit too scary for some children and just about perfect for most of us nerdy adults. Loved it! A “plain” girl cannot seem to get ahead in her work life or her love life. One night she buys a series of tapes to help get a man and use him with tips. She watches these with hesitation at first, but having nothing to lose, she eventually throws herself into it. The tapes come to life in the oddest of ways around her and the tips are starting to pay off. Her life at work and with men improves. She gets better and better at being social which, in turn, helps her in her career. The movie is very whimsical and takes you on a thoroughly enjoyable ride. As the lead character goes through life changes, we all learn a thing or two about love and life. This is a fun, romantic comedy that does not take itself seriously. Possibly the most fun movie in the this year’s official selection at Fantasia International Film Festival. A man, down on his luck, goes to a public bath house where a hit man falls and loses his memory. The first man trades his life with the second man without his knowledge and starts living a better life, or so he thinks. At this point, the movie became very dull. I had a very hard time keeping up as my attention wandered and the movie went on and on..and I became increasingly lost. This story seemed interesting but the execution made for a very dull result. Weird, weird movie. Amazingly odd and great! The Burning Buddha Man is animated in a style that will repulse some people. It is not so much animated as drawn, and the drawings are moved around in a drawn world. This is the story of a girl whose parents where killed by Buddha thieves, or so it seems. As we follow the girl through her story and her tests, she becomes more and more enlightened and can eventually fight the bad being who represents greed and other sins. This is one of the oddest movies I’ve seen in a while and yet, one of the most entertaining movies as well! Not sure I’ve loved it, but I definitely appreciated it and its themes. The lead in this story is a criminal enforcer. His drug-dealing boss sends him to enforce his reign on the local populace. The enforcer's life has been full of violence and making people hurt when they can't pay what they owe. Suddenly, he starts having visions. His “co-worker” tells someone on the phone that he is now less Die Hard Bruce Willis and more the Sixth Sense version of the man. This movie from the Nederlands left me cold even though the story moves along at a good pace. Plot developments and acting throughout are all fine and good, but not memorable. It is what you'd expect and, unfortunately, no more, but that seems to be enough for crowds that have come out loving it. The story is fairly simple, some of it a bit stupid perhaps, but always entertaining. 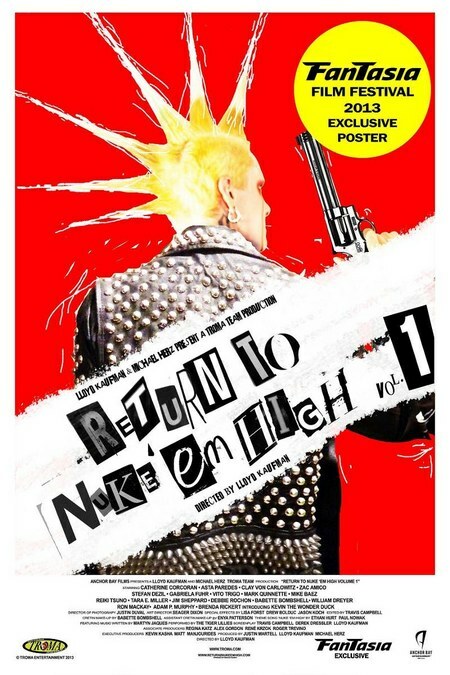 It is a quasi-remake-sequel-redo-whatever of the first Nuke Em High, now broken into two parts to prolong the afterglow. If you are into these sort of movies, you will most likely love it. If not, you may want to skip it. Chris comes home one night looking like he has a very powerful hangover. When his girlfriend sees him, she is freaked out. He doesn't understand why. Without ruining the movie, it can be said that her terror comes from watching him die and burying him. He is the walking dead...A zombie...but a very functional one... who can conduct scientific research! With his old research partner, he continues his studies in death and how to reverse it. This is an interesting take on the subject and far from the usual direction these stories go. The Dead Experiment is about the human drama and not the gore. How would one react seeing their loved one(s) come back to life and resume life as they knew it? It is an interesting movie, slow burn per say, but so interesting, it does not matter that it takes its time. The fact that it is not rushed enhances the emotional elements for a more rewarding experience. Two friends roam the Northeast United States, but they are not doing it by choice. There has been an outbreak and the undead are everywhere, forcing our "heroes" to do whatever they can to survive. They break into houses to get supplies but almost never stay in them. Things go as well as they possibly could in such a situation, but the pair are seemingly alone in this world with the undead...until they are not. This is a fairly typical zombie movie, but with less violence. The leads want to survive, but while one loves killing zombies, the other wants to avoid them at all costs. The story is fairly well crafted and the characters fleshed out to an enjoyable degree, but nothing in the film pushes the whole to above average heights. Thankfully, the friendship between the two leads seems genuine, which does help the movie along and makes the ending more powerful than the rest of the film's events. This is just an OK entry in the zombie genre. A missed opportunity for greatness. A movie about a Mormon missionary who wants his own family and is ready to take an instant one when he meets a single woman and her son who seem to need company and a helping hand. He begins an affair with the woman and as her life changes, so do his manners. Missionary is a chilling thriller that starts off a romance...a basic drama, until the pressure mounts and things escalate, becoming terrifying for the protagonist. The suspense builds and the intensity levels soar as the movie sails along at a speedy pace. Missionary is a well-crafted thriller with believable characters and solid performances. It will slowly penetrate your mind and eventually creep you out! 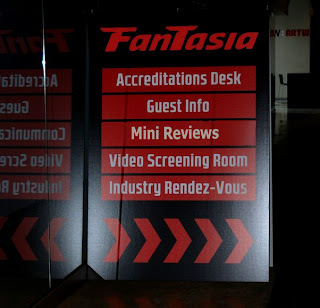 CLICK HERE for Emilie Noetzel's first round of Fantasia mini reviews!